Catrice Absolute Rose palette & Eye shadow Singles. Still with This weeks Catrice, here is my review on the Catrice Absolute rose palette and some other Catrice products I used for this look. 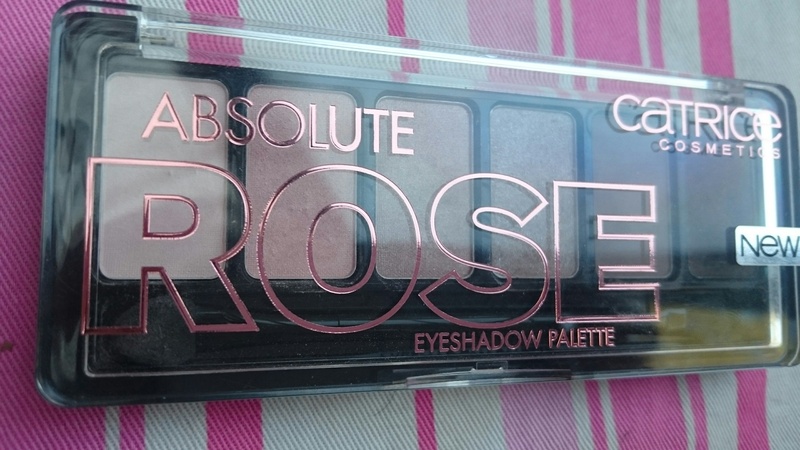 The Absolute rose palette is a lovely mix of matte and Shimmer colors ranging from dark smokey to light rose pinks. It is the perfect everyday mix of colors and you can create the smokey eye look in a few different versions with it or wear the colors individually for every day basic use. 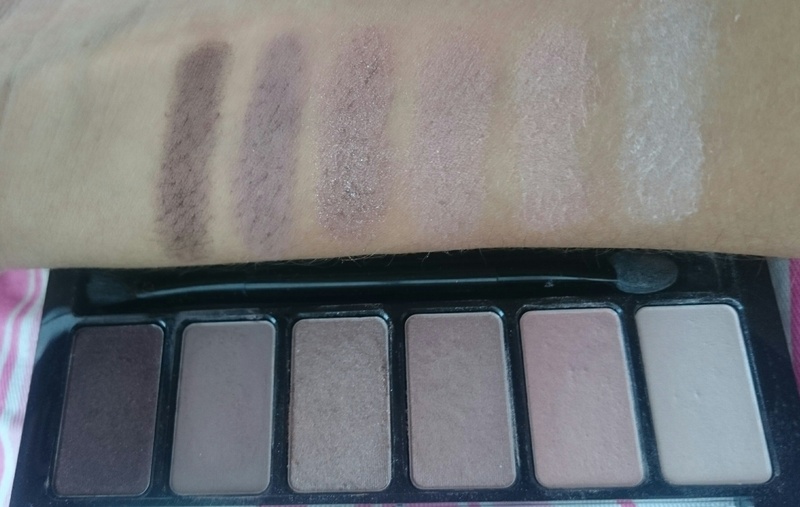 I Must say I enjoyed the darker colors of the pallet more than the light ones as the light ones didn’t show up too well on my skin tone as you can see below on my swatch. I had to apply a lot of the lighter colors to get the effect I wanted but they did how ever blend wonderfully for a smokey look. Here is a quick selfie of the look I created. 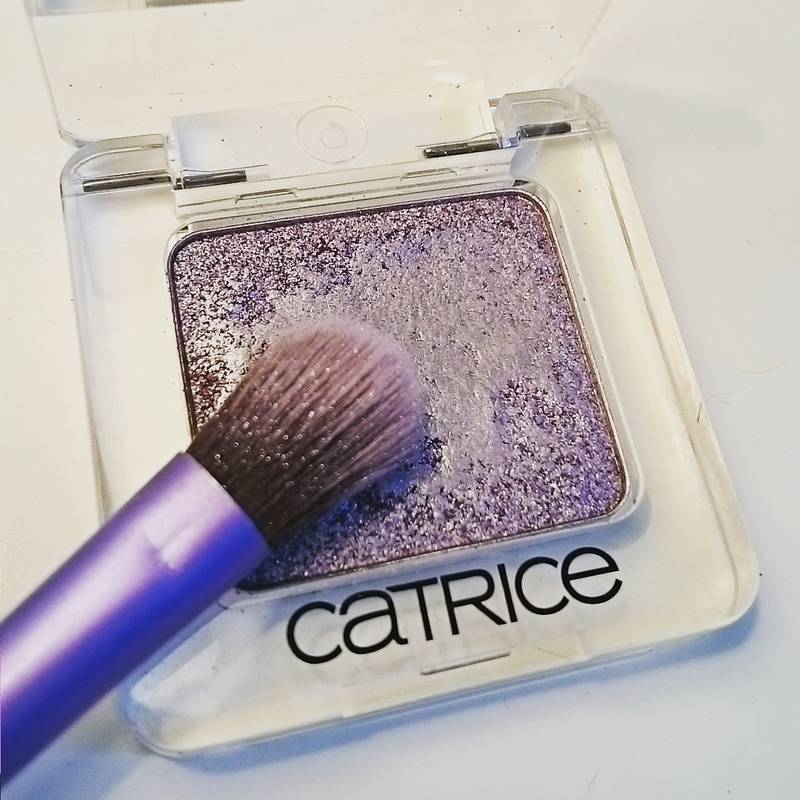 I Also tried out two of the new shimmer eye shadow singles from Catrice cosmetics and I am very impressed with them! The color applies true and the shimmer looks like a good quality proper shimmer and actually shimmers on eyes like it does on the shadow single. 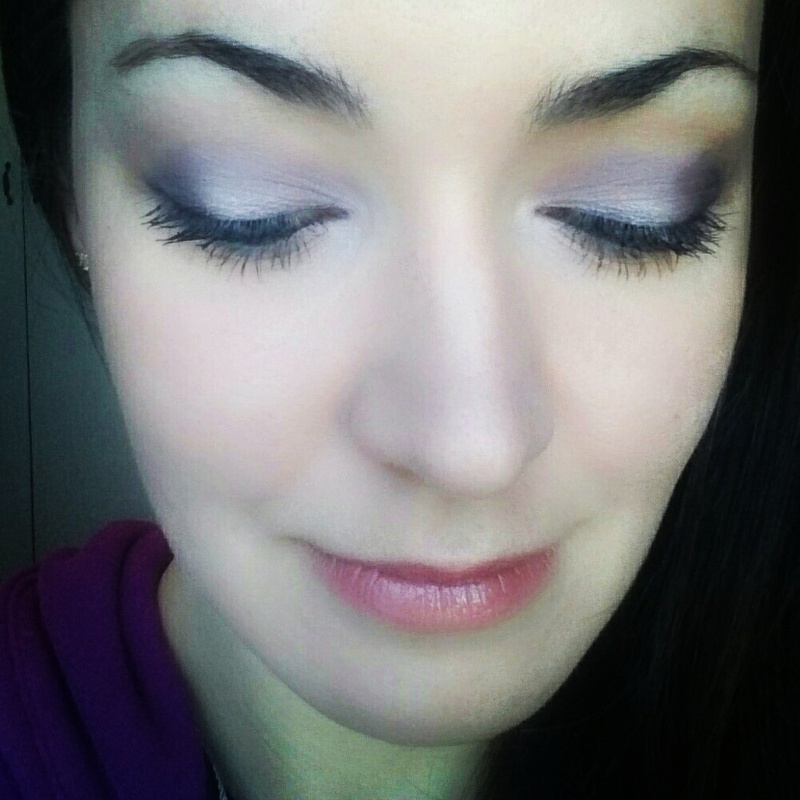 I tried a turquoise and a lovely purple, the purple has turned out to be my absolute favorite out of the Catrice items I tried out. 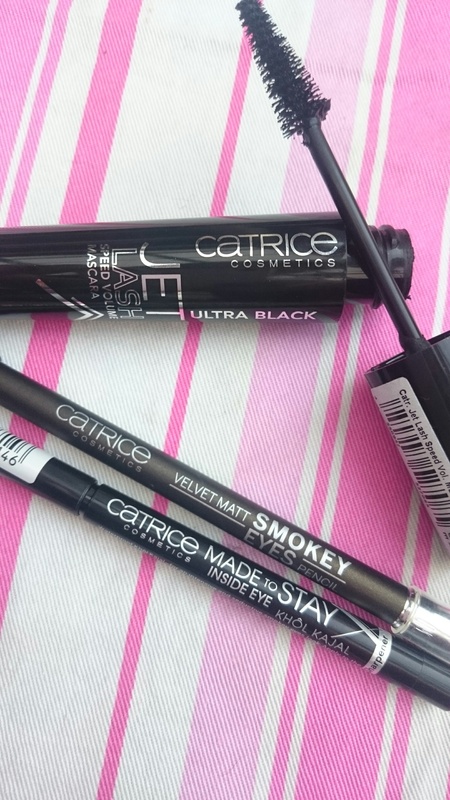 Ok and then lastly I also tried out the Catrice Jet Lash speed volume mascara as well as the Velvet matte smokey eyes pencil and The Made to stay inside eye liner. Now to be honest I was not really too happy with the Mascara, it does give fantastic volume but mine came out a bit clumpy and during the day flaked off and I ended up with black speckles on my cheeks. this could be maybe because the sample I got sent to review was possibly old or something. If anyone else has any feed back on this I would like to know how you found it to be. The Lovely velvet matte smokey eye pencil is great! It is a sparkly smokey black and it has a lovely little brush on the back to use to smudge with and its so easy to blend. It Actually worked great with the Absolute rose palette. It has got a nice creamy texture and I can give it a thumbs up! The made to stay inside eye liner applies well to the inside of the eye with a good deep black color and it does stay in place through out the day! Fantastic for me as I do like to wear my eye liner on the inside. Great affordable products all available at Dischem so a definite must for you to check it out next time you are in store. Ill post some Catrice nail products info soon this week so keep an eye out for those! Catrice cosmetics matte mousse foundation & concealer. Love the look you created with the Rose palette! Thanx so much hun! :) it’s such a lovely palette. I literally love every single one of these Catrice items! Amazing haul, but the metallic shadows are especially gorgeous. Such a great range to choose from! I literally love every single one of these items! But I especially love the metallic eye shadows :D they have such amazing pigmentation and the names are beyond cute. Such a great range to choose from!